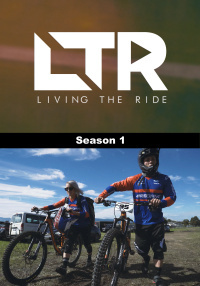 Living the Ride is a 3-part half hour adventure travel series featuring world-class athletes, Olympians and adventure travelers Barry Nobles and Caroline Buchanan. Caroline and Barry spend their lives traveling the globe, riding motorbikes, entering competitions and challenging each other to extreme adventures. Alabama born Barry is a keen skydiver, mountain biker, snowboarder, BMXer, motorbike rider and has recently taken up rally driving. Caroline is a seven-times cycling World Champion, Australian People's Choice Athlete of the year, sportswear model, young Australian of the year and has over 200,000 social media followers. Caroline and Barry regularly post videos, clips, and photos on social media; they're professional life livers and inspirational to their followers.